A woman is walking with her umbrella Boulevard Auguste Blanqui completely covered with snow. A snowstorm hit the city of Paris on 18, 19 and 20 January 2013. 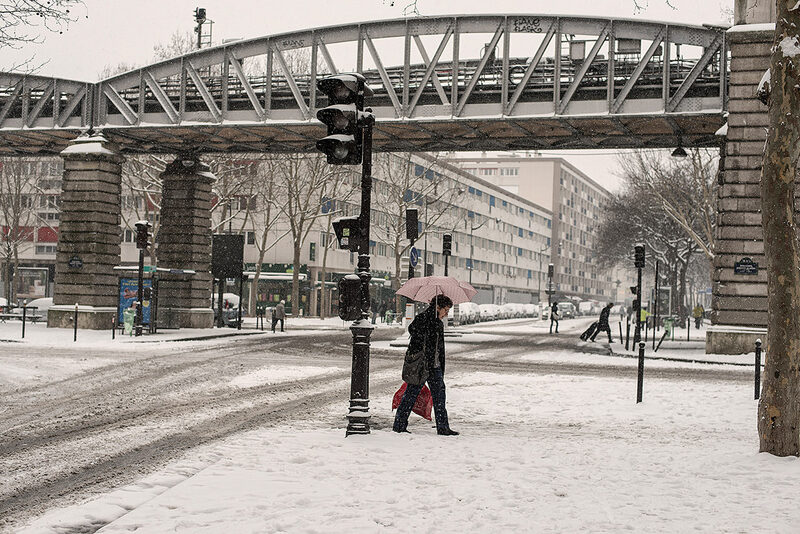 Boulevard Auguste Blanqui, an elderly woman is walking in the snow with her pink umbrella. Une tempête de neige s’est abattue sur la ville de Paris les 18, 19 et 20 janvier 2013. 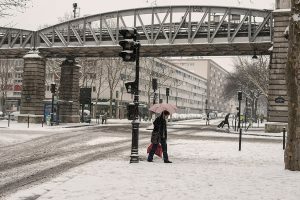 Boulevard Auguste Blanqui, une femme âgée marche dans la neige avec son parapluie.